The holidays are great for a lot of things – eating and drinking exorbitant amounts, catching up on family gossip and sporting your PJs until noon. Aside from alluring pictures of eggnog lattes, another thing I notice in my newsfeed this time of year is the abundance of holiday engagements! What better time to pop the question? This engagement timing results in a lot of New Year’s Eve weddings. 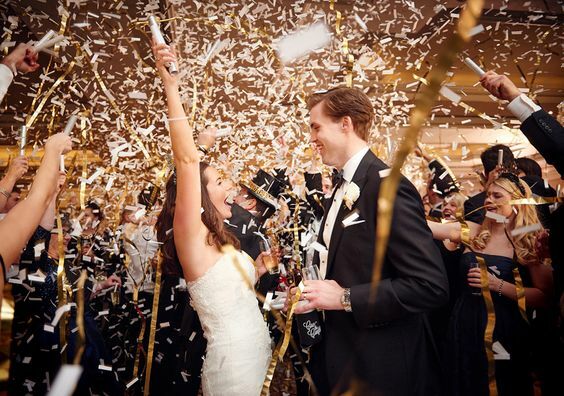 Tying the knot as you ring in the New Year with all your pals and family is a fabulous idea. Your loved ones will be grateful to have plans for the occasion instead of slamming into an overpriced bar, you’ll never forget your anniversary and everyone is game to party until at least midnight! 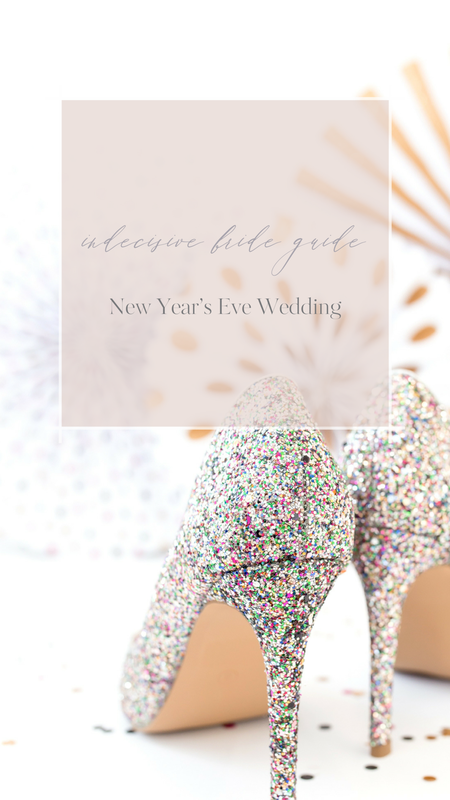 Before you start sorting out all the sparkly details, I’m here to ensure you’re aware of the unique challenges of a New Year’s Eve wedding celebration. New Year’s Eve is a popular night for events. Vendors book up quickly for other parties, so be sure to secure your lineup. This is where a wedding planner comes in very handy – they work quickly to hire the right vendors for you and have special relationships within the events community. Ever been stranded without a ride on New Year’s Eve? It can be impossible to find a cab, an Uber or a designated driver! The same will be true if it is your wedding night, so be sure to book transportation well ahead of time. Which means that expenses will be higher. Typically labour is paid time and a half and venues can charge a premium that time of year. Again, a wedding planner can help navigate these waters and ensure that your budget is balanced! Winter is not wedding season, which means flowers and other wedding essentials can be out of season or at a premium. This is an opportunity to get creative – swap flowers and party favours for a candlelit reception and a swath of sparklers. 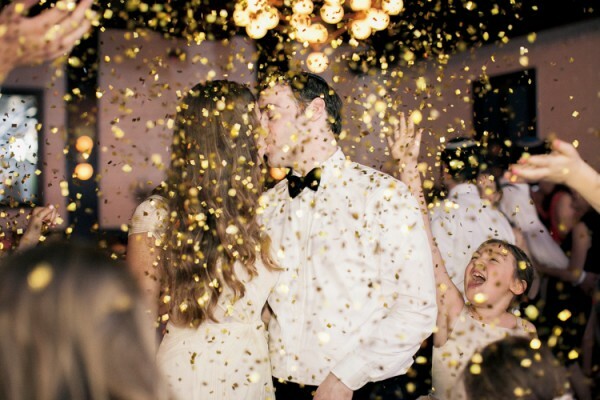 Make midnight special with confetti poppers, champagne and lots of glitter! 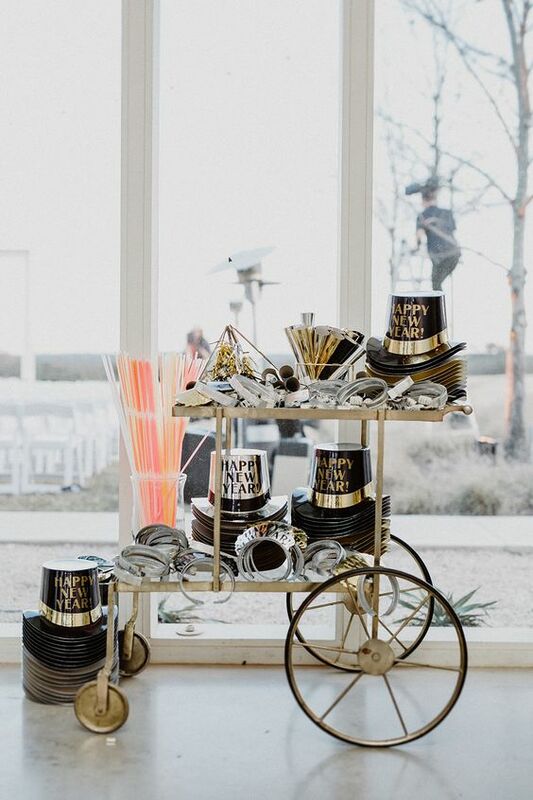 A wedding on NYE might require some extra planning and preparation, but it makes for an extra-special occasion and one stellar party! That’s an easy decision in my books. Bring it on, 2018!